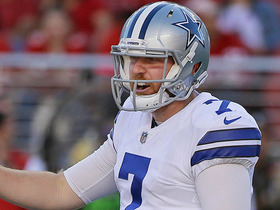 Head coach Jason Garrett said Tuesday that Rush will enter the season as the backup quarterback, David Moore of The Dallas Morning News reports. 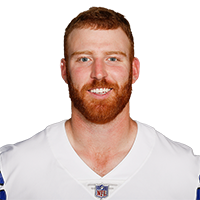 Analysis: Rush has not been a standout backup for the Cowboys since joining the team last season, but Garrett went on to praise Rush's body of work since the start of the offseason. Should starter Dak Prescott suffer an injury at any point this season, Dallas will not be in great standing with Rush as its current backup. Rush completed 15 of 23 passes for 145 yards and a touchdown in Thursday's preseason game against the 49ers. Analysis: The second-year QB is in a camp battle with fifth-round pick Mike White to be Dak Prescott's No. 2, and at least Thursday, Rush looked like the better man for the job. White will get his chances this preseason, but whichever of them becomes the game-day backup will still have very little fantasy value barring an injury to Prescott. Rush took snaps in only two games in 2017, completing one of three passes for two yards and gaining 13 yards on two carries. Analysis: The undrafted free agent mostly watched from the sidelines behind starting quarterback Dak Prescott, but the Cowboys feel Rush has the potential to develop into an NFL-caliber signal caller down the road. The team may bring in some competition for him in training camp, but in all likelihood, Rush will enter 2018 as the team's No. 2 quarterback. Barring an injury to Prescott next season, Rush's action would likely be limited to garbage time once again. 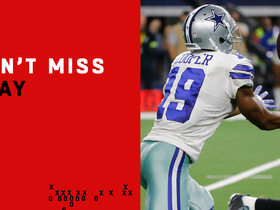 Dallas Cowboys quarterback Dak Prescott finds wide receiver Amari Cooper for the duo's third touchdown hookup on the day and a walk-off score. 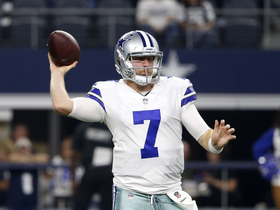 Dallas Cowboys QB Cooper Rush lives up to his name on 15-yard run. 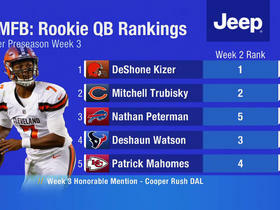 The "Good Morning Football" crew releases their latest rookie QB power rankings after Preseason Week 3. The "Good Morning Football" crew gives the QB rookie ranking for Cowboys QB Cooper Rush. The "Good Morning Football" crew talks about the standout performance of Cowboys QB Cooper Rush. 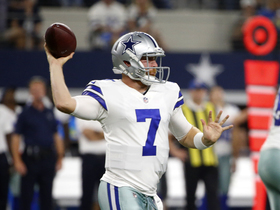 NFL Network's Peter Schrager talks about why Cowboys QB Cooper Rush is the underappreciated storyline to watch.